After clicking Place Order, you will be directed to the kiosk’s order screen. Please enter your full name or company name, as well as an email address and phone number at which we can contact you, in the appropriate boxes. 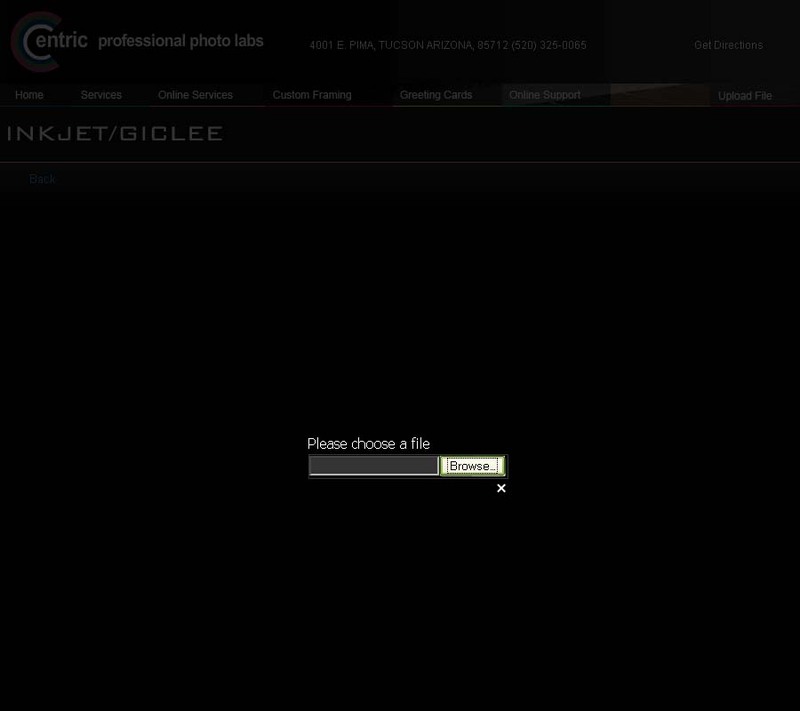 If you need to upload an image to be printed, select the Upload a file now box, then click Select File. 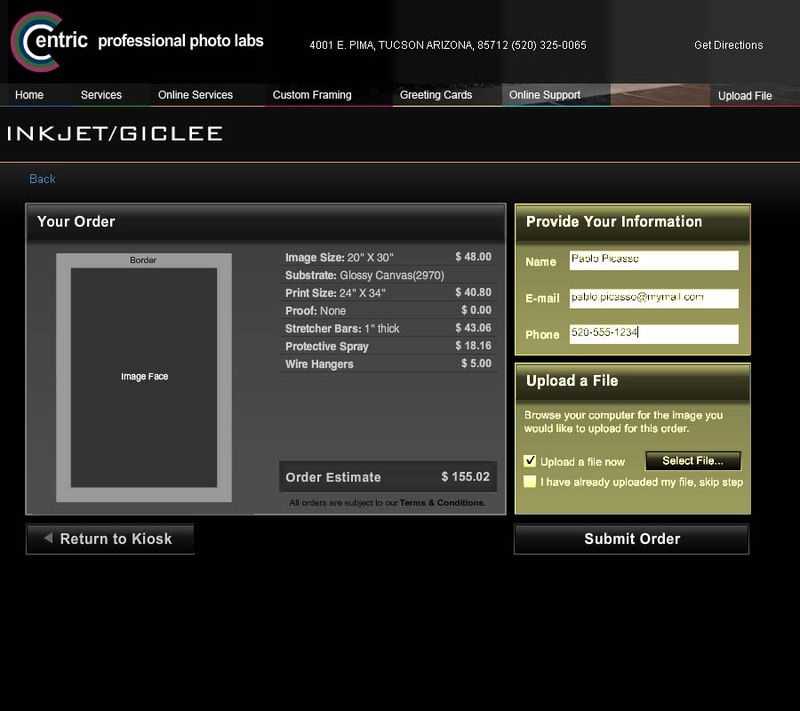 If we already have your image, you may select the other checkbox and click Submit Order. On the next screen, click on the Browse button to locate the image to be uploaded, or sent, from your computer. 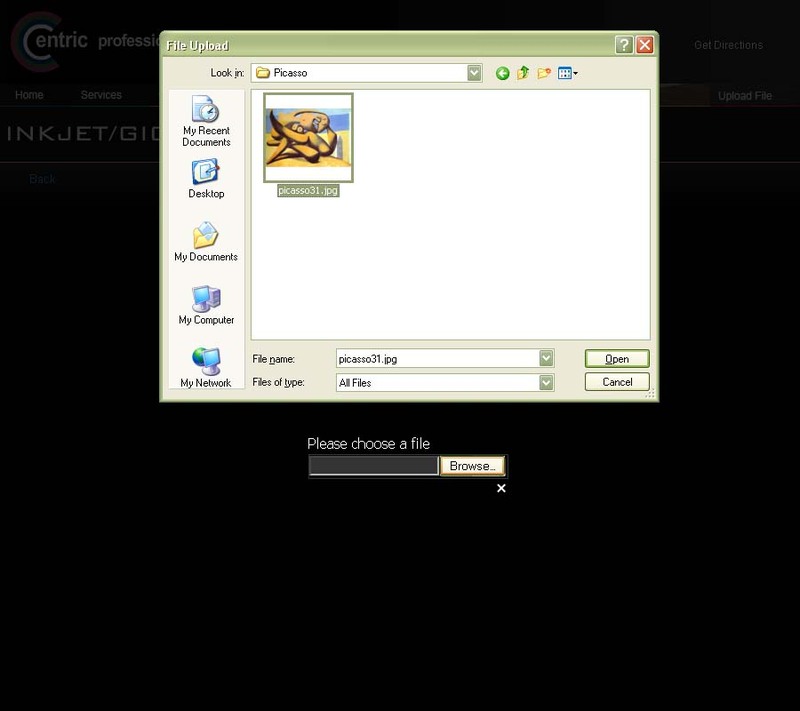 Navigate to the folder or directory in which you image(s) can be found. Select an image to be uploaded.